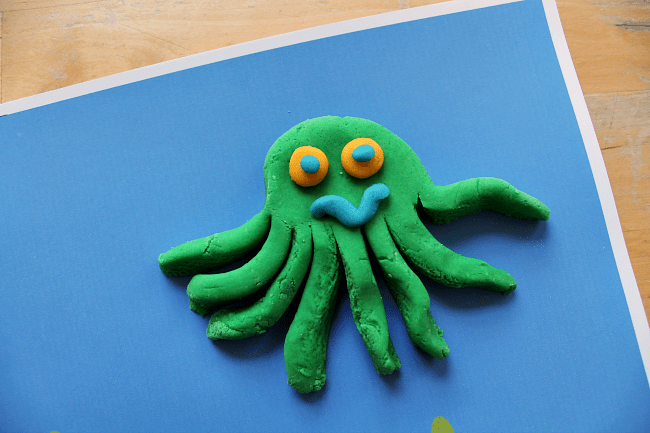 Play dough is one of the best play materials around. 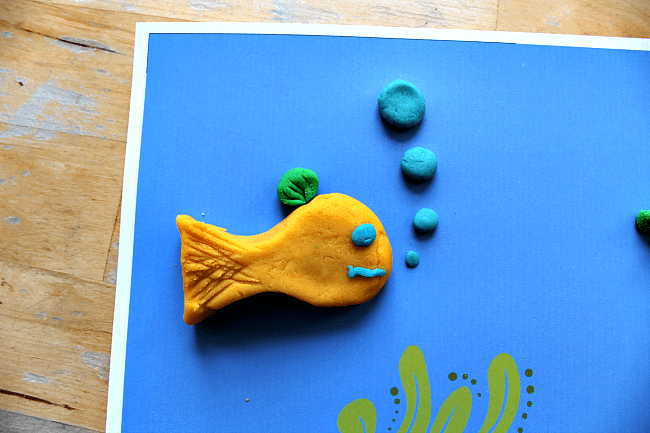 It’s easy to make, a wonderful sensory material, and great for developing imagination and fine-motor skills. 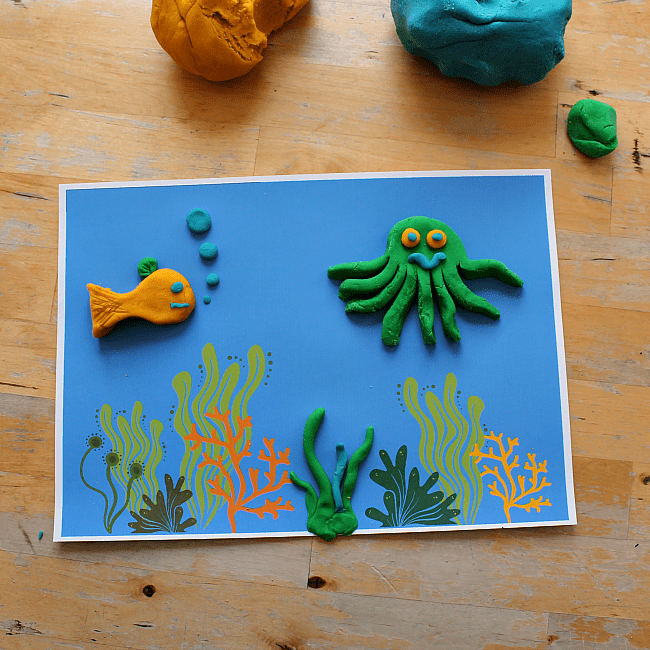 Use this under-the-sea play dough play mat to add some play dough fun to your ocean-themed learning. Are you learning about the sea or looking for ocean teaching resources? 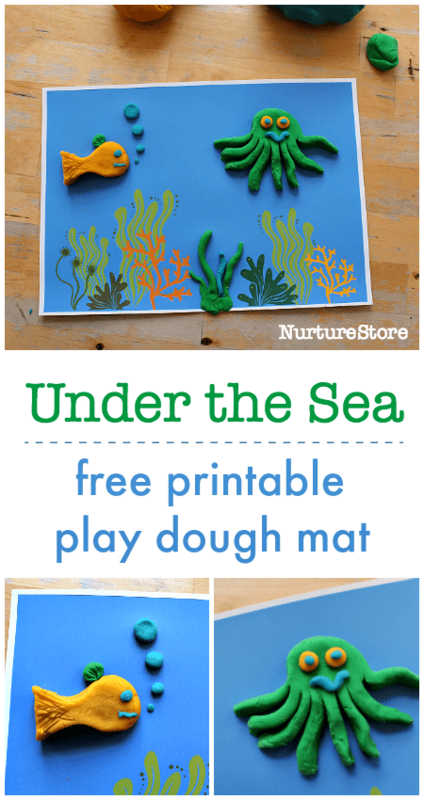 Try these ideas which include fish crafts, ocean literacy ideas, seaside sensory play and extra under the sea printables.